Georgia Tech is located in the heart of one of the most diverse and rapidly growing metropolitan areas in the country. We are partnering with our civic leaders to keep Atlanta a global force. 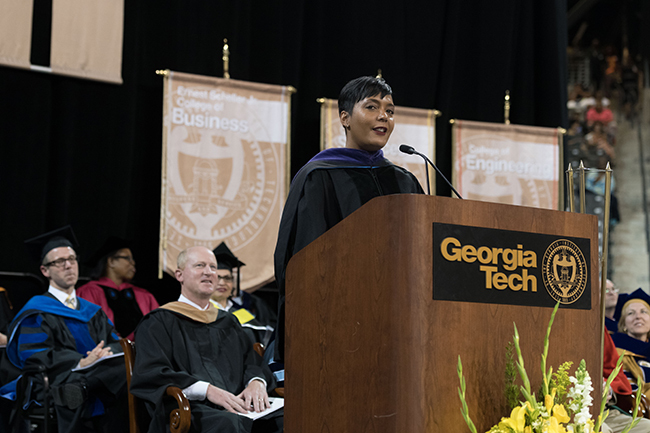 We help connect Georgia Tech students and faculty with Atlanta’s government leaders including the Mayor’s Office and City Council, as well as public school systems. We work to foster support and partnerships that allow the Institute to achieve its strategic goals. Our shared goals with the City of Atlanta are to attract the best and brightest to our communities.